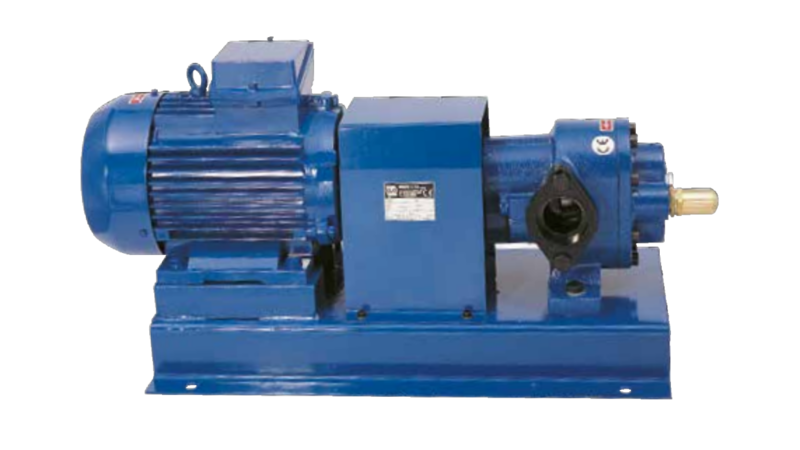 Volumetric gear pumps mounted on base plate suitable for coupling to B3 electric motor by elastic joint available in three different constructions: Cast iron with shafts and gears in steel; Bronze with shafts and gears in Inox AISI 316; Inox AISI 316. Max temperature of 100°C for standard version with mechanical seal or lip seal. Max temperature of 180°C for standard version with packing seal.